Among the rose plants I have, in some of my pots, there's one in particular, an orange coloured hybrid variety of rose. 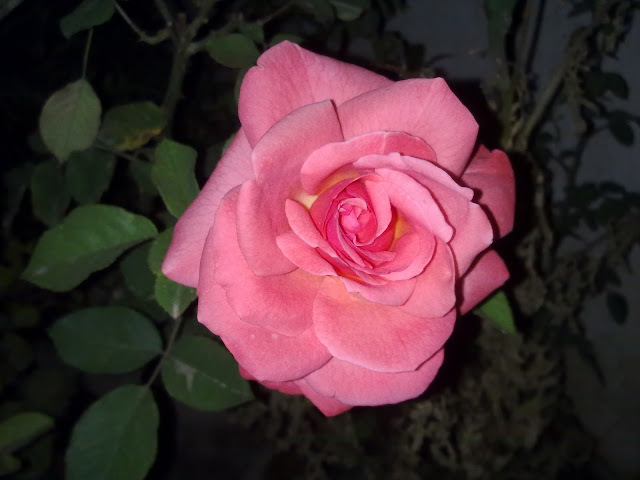 What makes different, is the size of the flowers, it bears. It actually bears huge roses, that may awe anyone, especially, because it is planted in a small pot, and is fed with simple vermi compost. 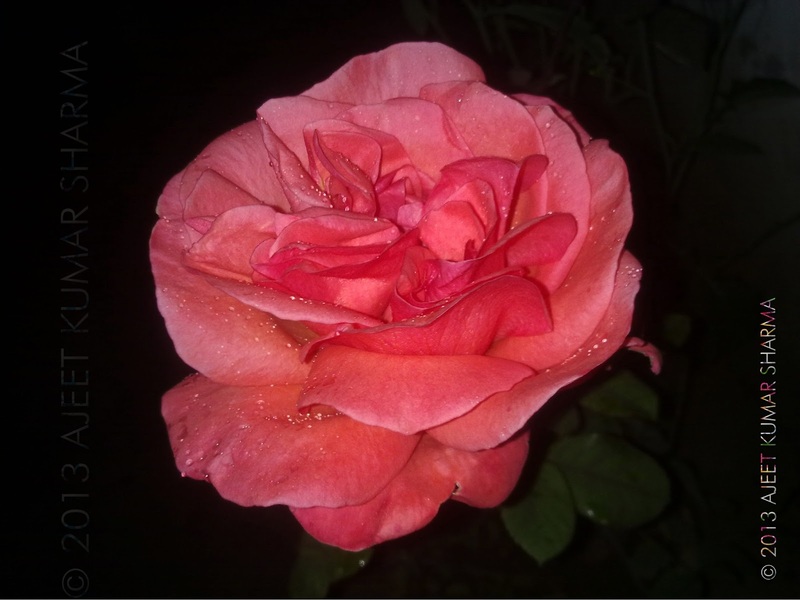 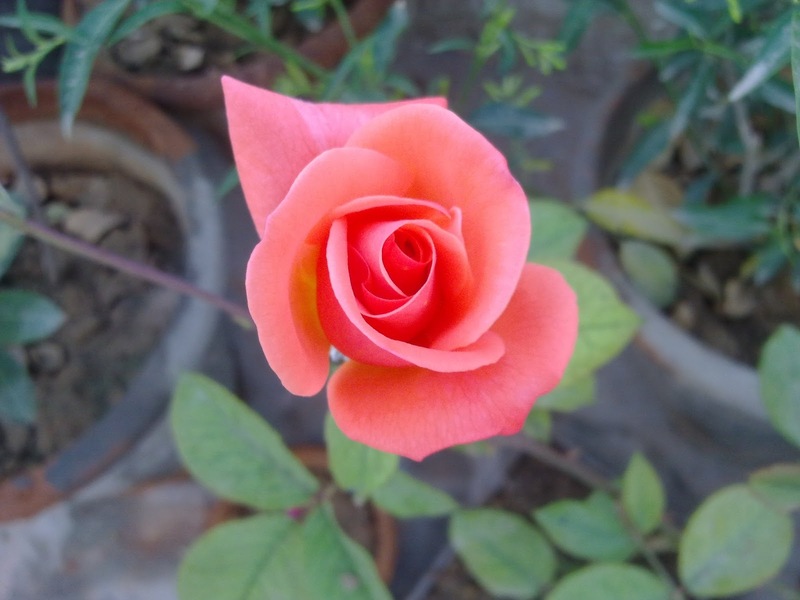 Here are some of the photographs of my orange rose. 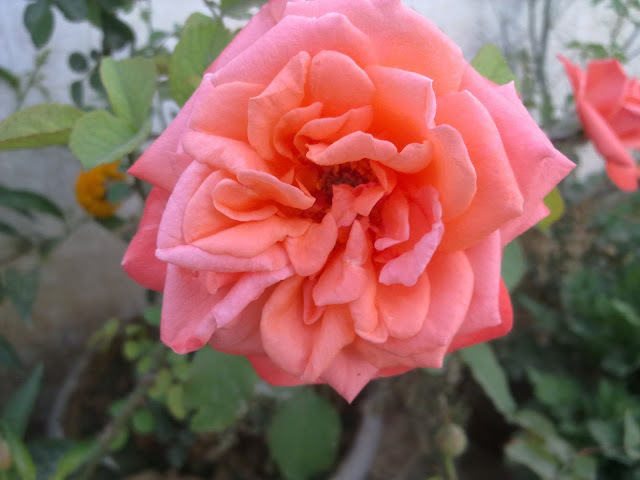 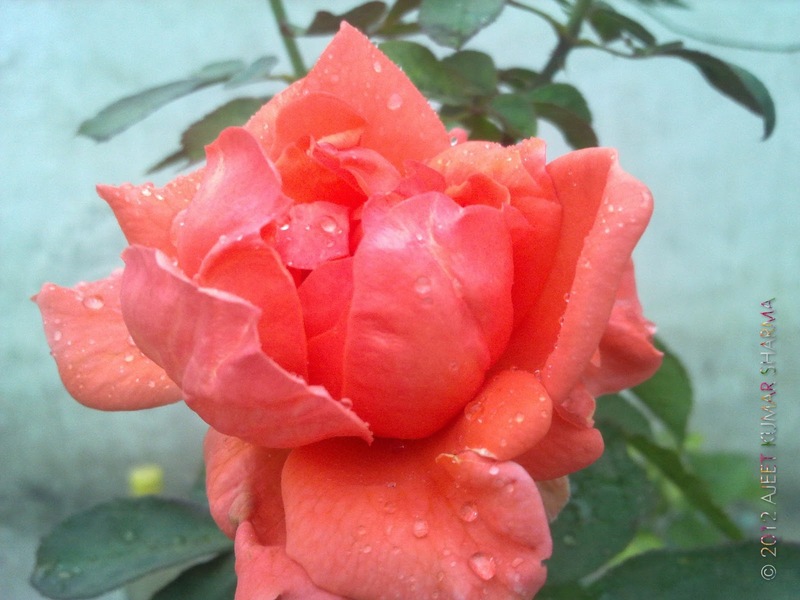 Photograph of my Orange Rose flower. 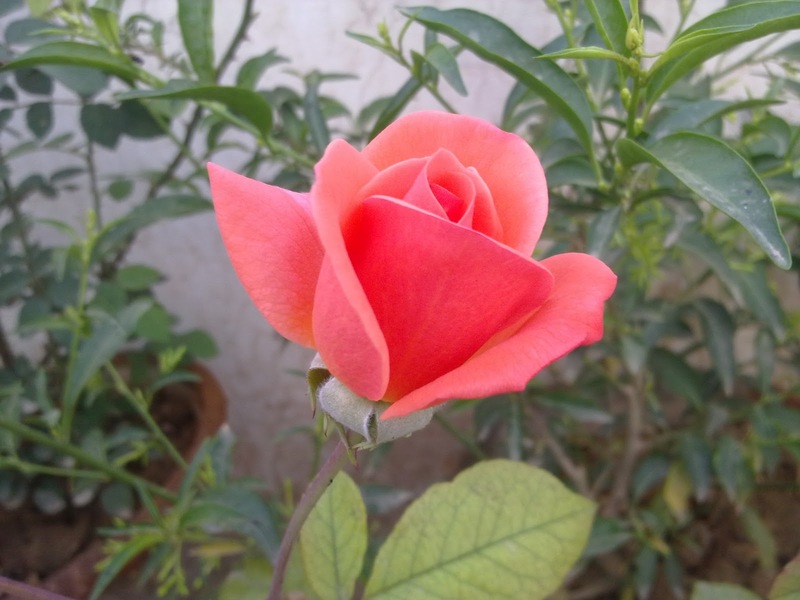 Photograph of my Orange Rose bud. 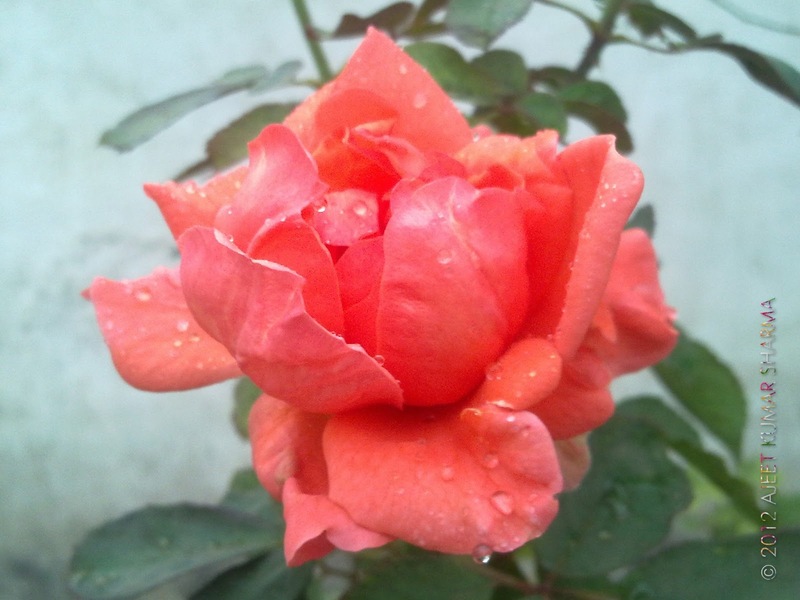 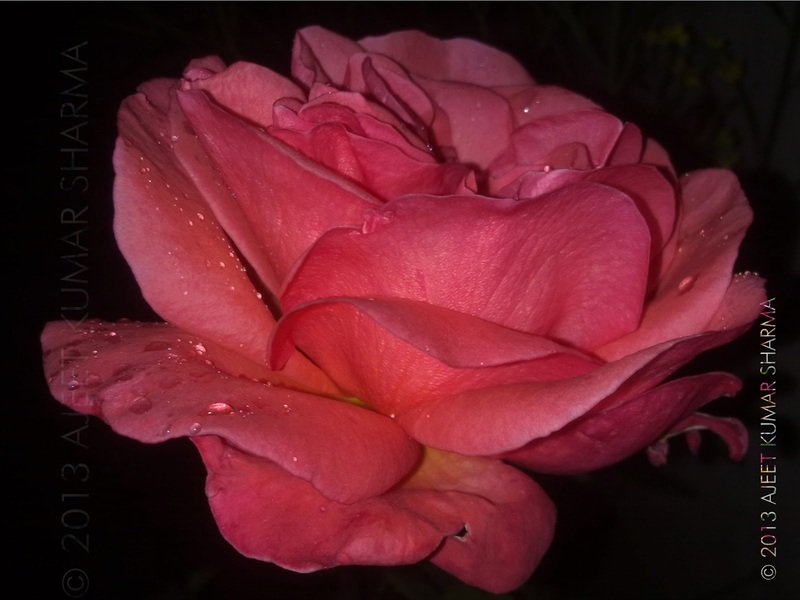 Just like my red rose plant, this one also blooms the whole year round, though, not that frequently as the red one.